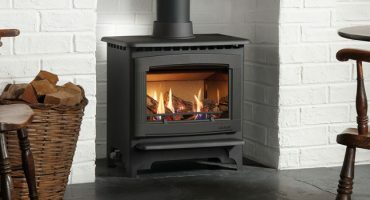 Home » Blog » Posts » News & Updates » New stoves and fires now available! This year we have added the following products. Featured in the new Stovax wood burning and multi-fuel stoves brochure, the convector Sheraton 5 Wide stove is a new-wide format alternative to the existing Sheraton 5 stove. With a nominal 5kW heat output, this model is available as an Ecodesign Ready stove (available for the multi-fuel version only) thanks to its superb heating performance, which minimises smoke emissions. These models are also DEFRA approved for urban Smoke Control Areas. The Vogue Midi T Highline wood burning and multi-fuel stove features Integrated Heat Shields and an innovative Convector design which increases heating performance whilst lowering minimum distances to combustibles for expanded installation versatility. Offering an easy access to logs through either the front door or open sides, this Ecodesign Ready stove is also DEFRA approved for urban Smoke Control Areas. 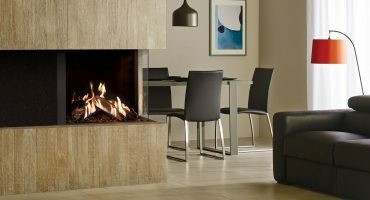 Perfect for designer corner installation or a striking 180-degree panoramic display, the Reflex 75T multi-sided gas fire provides an unparalleled view of the stunning flame visuals. With ultra-realistic log-effect, this balanced flue gas fire model can be selected in either right or left corner versions to suit your home. 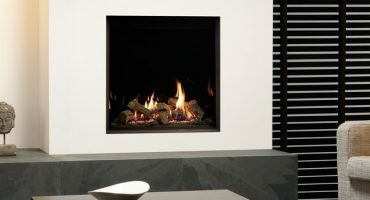 Select from three different lining options and each adding a different aesthetic to the fire. Transforming the Loft Gas Stove’s aesthetic, the new optional Top Section adds extra height and presence to this striking model whilst continuing the clean lines of the stove and hiding a top exit flue pipe. Available in either conventional or balanced flue models, the Loft gas stove provides a generous heat output of up to 4.4kW and can be effortlessly controlled with the various handset options. 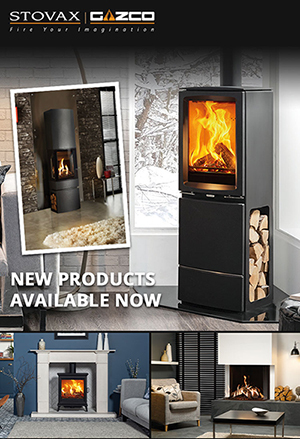 To find out more information about these latest stoves and fires, please visit your local retailer.